While I've certainly enjoyed some of their work with Angles of Light, I can't say that I've ever been a huge fan of Akron/Family. All that changed the moment I put on this record and heard the opening strains of "Everyone is Guilty". This record takes all the psych-folk leanings of their previous work, pumps up the volume and puts it in a pretty rock n' roll package. That's not to say that the group's more nuanced, finger-picked acoustic tunes are left by the wayside, quite the opposite in fact. There are enough sing-a-longs here to make you feel as if you're sitting around a campfire with the band, more participant than listener. It's a feeling best summed up in the lyrics of the song "River": 'You and I and a flame make three'. Who knows what possessed Auerbach to take these particular songs and strike out on his own, but the resulting album was well worth the trouble. It's not that these songs couldn't have been perfectly good Black Keys tracks, it's just that the end result is a bit different sounding than usual. And therein lies this album's charm, from the soft strains of the acoustic album opener "Trouble Weighs a Ton" to the the southern rock swing of "My Last Mistake". 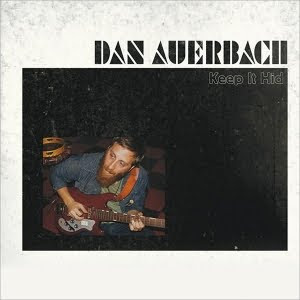 All of this is anchored by Auerbach's most important instrument: his voice, which still sounds like its pulled straight off of some old blues record. Something tells me this won't be his last solo outing, but we probably won't see another for a few years. Fine with me, I'm still enjoying this one for all it's worth. After two back to back career-defining albums, the Lips' 2006 record At War With the Mystics was a bit of a letdown. Thankfully, I think Wayne and the rest of the guys felt the same way, which is how, in 2009, we ended up with one the group's weirdest albums in years. It sounds thrown together in the best sense, an album that isn't overly produced or planned out, like we're listening to the band in the studio making their own completely unfiltered brand of rock and roll. Sonically, there are some amazing moments on this album, from the pulsing krautrock of "Convinced of the Hex" to the swirling distorted groans of "Worm Mountain". It's a record that has a very definite sound to it, one that successfully combines just about everything this band is really great at doing. And, if the title is to be believed, this is only the beginning of the Flaming Lips' rebirth. Nevermind that small Massachusetts island, to me the name Veckatimest will forever be synonymous with the sound of a band that sounds completely comfortable in their own skin. Grizzly Bear embraced every characteristic that makes them unique and crafted an album that is blatantly unapologetic. The pop sensibility demonstrated on this record is staggering; these are songs in which every note is carefully placed for maximum impact. First, there's the unrequited longing of "Two Weeks", set against a bouncing, jovial keyboard melody. Then, the outright confessions of "Ready Able" riding atop swirling guitars and minimalist rhythm. And finally, the sweeping crescendos of "While You Wait for the Others", the centerpiece of a record overflowing with noteworthy moments. Eight years after his last Drag City release, O'Rourke finally saw fit to bless us with another record. 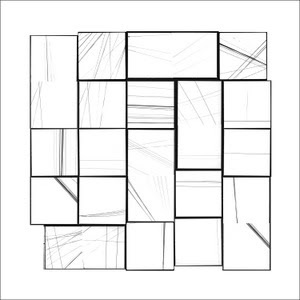 The Visitor consists of a single, 38-minute instrumental track, meticulously arranged and performed exclusively by O'Rourke. It's admittedly a challenging record to listen to, as it's best experienced in one rather long sitting. But if you're an O'Rourke nerd like myself, it's one of the most rewarding listening experiences you can have. It's a veritable symphony, replete with shifting movements which build, repeat, and evolve throughout the course of the track. O'Rourke's inclusion of small nods to his prior work is the icing on an already sumptuous cake. 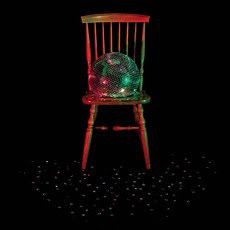 The Visitor is O'Rourke at his best; an extremely enjoyable ride through the mind of a man who is nothing short of a musical genius. For a group that started off as a Fleetwood Mac tribute band, LAKE sure have come into their own. 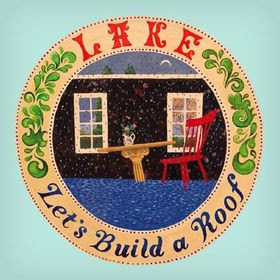 Let's Build a Roof is collection of succinct pop rock songs, all constructed around the theme of forging ahead and creating something beautiful. 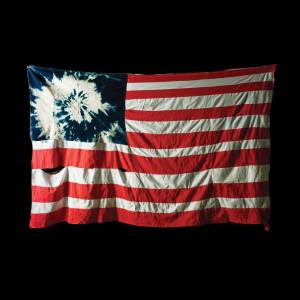 It's a fitting message for an album that truly seems to embody the ethos it imparts. Towards the beginning of the record a track called "Madagascar" acts as the manifestation of reluctance, with it's echoing refrain of 'I wanna give up'. By the album's conclusion, an extremely catchy rhodes and saxophone driven number called "Don't Give Up" provides the juxtaposition to that prior sentiment. A rotating cast of male and female singers lend further contrast, all atop spotlessly clean production work care of K-Records mainstay Karl Blau. LAKE takes songs that could easily come off as coy or disingenuous and adds the feeling needed to make them truly inspirational. 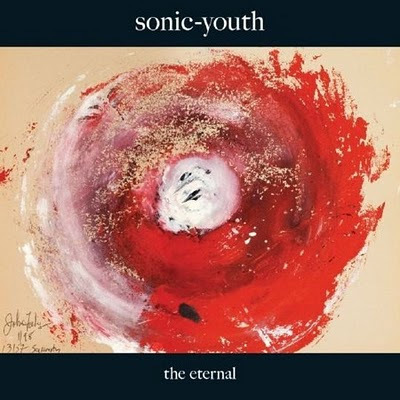 In my mind, Rather Ripped was Sonic Youth's version of the straight ahead rock record, whereas The Eternal finds the band sounding more like themselves than they have in quite some time. Guitarists Thurston Moore and Lee Ranaldo continue to mature, finding new ways to make noise part of their songs, not the foundation upon which they are built. Kim Gordon is in particularly fine form here, providing the lead vocals on two of the album's more upbeat tracks, "Sacred Trickster" and "Malibu Gas Station". Another highlight is "Poison Arrow", which is a good summation of what the band is currently capable of. Much like John Fahey's swirling cover art, this record is a blend of the band's sounds and textures from throughout the years. It doesn't exist to draw comparisons, but to show that Sonic Youth is just as formidable now as they always have been. The forefathers of the Chicago post-rock scene return once again with a record that sounds quite different from anything they've previously done, yet still absolutely recognizable as a Tortoise album. The synth-heavy opening track "High Class Slim Came Floatin' In" provides a pretty good indication of the electronic tone this record takes. Keyboard blend into guitars which in turn blend into drum machines creating a dense sound-scape that quickly becomes something much different than the sum of its parts. Tracks like "Penumbra" and "Monument Six One Thousand" sometimes sound like sketches or pure experimentation, but fit within the context of this record. Tortoise is a group unafraid of trying something different, and on this record you can hear that joy of sonic discovery. Frontman Andy Cabic has a knack for writing songs that are quiet and understated, yet brimming with an emotional warmth and depth that's lacking in much of modern folk music. Tight Knit collects ten such songs, beautifully recorded and produced to bring out even more of that aforementioned warmth and depth. Whether it's the dual acoustic guitars of "Rolling Sea" or the clinking triangle of "Sister", every detail of these recordings is beautifully realized. On one of the album's more upbeat tracks entitled "Another Reason to Go", Cabic flirts with a sort of funk-folk hybrid complete with a horn section, and the amazing thing is that it works flawlessly. 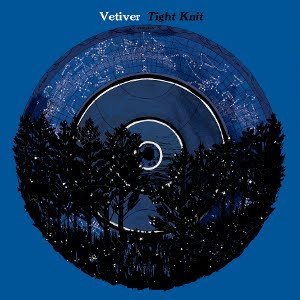 On Tight Knit, you can hear Vetiver springing to life in the studio, turning in one of the best records of the year from a band whose best work is likely yet to come. The more I hear this record, the more I feel like it may be the quintessential Wilco album. Granted, it's not my favorite of their discography, but every time I listen to it, it creeps up that ladder a bit more. This is Wilco (the band) playing songs that are uniquely their own. 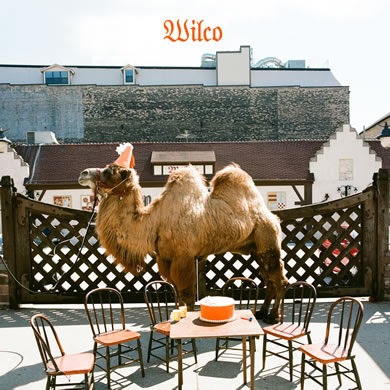 I don't think anyone else could get away with writing a song about their band, but "Wilco (the song)" works as an ode to fans and a distillation of what this group is all about. There's a sense of adventure present here, manifesting itself in the unconventional arrangement of "Deeper Down" and the driving staccato stabs of "Bull Black Nova". There's also an encompassing familiarity, exemplified in the classic rock stomp of "You Never Know" and the alt-country twang of "I'll Fight". It's a record that sums up what Wilco is capable of while simultaneously exploring new sonic territory.